The butternut squash soup was absolutely delicious. The natural richness of the squash was complemented by cinnamon and nutmeg and beautifully delivered with a topping of an almond brown butter sauce. This was one of the best butternut squash soups I have tasted in quite some time. The Insalata Mista of mixed baby greens included Roma tomatoes, local farm-raised goat cheese, orange sections, with a balsamic vinaigrette. This traditional salad was well prepared and the cheese was creamy and added a nice addition to the salad. My favorite appetizer was the crispy artichokes with shaved red onion, jalapeños, cilantro, ricotta salata and lime aioli. The artichokes were first cooked with celery and lemon and then quickly deep fried. The red onions were sweet and the jalapenos were de-ribbed and air dried to lessen the inherent spiciness. This dish was outstanding with the crunchy-sweetness of the artichokes, the slight spice of the peppers and the cooling aspect of the ricotta salata. There are several pasta choices that that are also available as half orders. The Pappardelle with fire-roasted organic chicken, wild mushrooms, fresh “Fin Herbs” laced with truffle oil and shaved parmesan cheese is a must-have dish in my opinion. This version elevated the deep flavors of the porcini mushrooms and the truffle oil and the addition of the chicken made for a nice complement. For vegetarians I would highly recommend asking for this dish without the chicken for an entrée. The Cavatelli was prepared with Cava’s homemade fennel sausage, sautéed broccoli rabe, crushed red pepper, olive oil and caramelized garlic (slowly cooked in extra virgin olive oil in the manner of confit). I was a little nervous before I ordered this dish as many restaurants serve the rabe without removing its natural bitterness, but Chef Nube removed the bitterness by blanching the rabe. Her house made sausage contained the perfect amount of spiciness and combined with the sautéed garlic and the house made pasta created a delicious dish. The Fettuccini with lobster, fresh white shrimp, plum tomatoes, shallots, olive oil and garlic was prepared with both Lobster stock and sundried tomato stock. 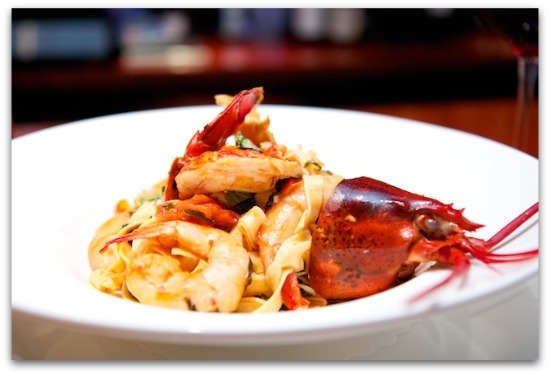 The house made fettuccini was perfectly cooked and the shrimp and lobster meat were flavorful and abundant in the dish. The diced tomatoes worked very well with the fresh basil and the lobster and tomato infused sauce added a great depth of flavor.  I liked this dish and would recommend it highly. The Osso Bucco with Risotto Milanese was a large portion of veal with a nicely cooked accompaniment of risotto. The shank was perfectly prepared and was succulent, tender and indicated a long slow braising process. Chef Nube prepared this dish the day before it was placed on the menu which allowed for an increased tenderness in the meat. The sauce had an incredible depth of flavor and the shank contained a nice portion of marrow, one of my favorite treats. 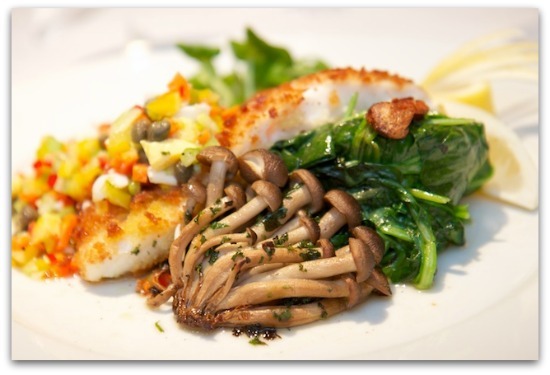 The newest addition to the menu was the pan sauteed Halibut with a Sicilian vegetable relish, sautéed spinach, and garnished with roasted enoki mushrooms and mache. This dish was delightful. The relish consisted of capers, red and yellow peppers, carrots, and hard boiled eggs (very reminiscent of Sicilian preparations) with a touch of vinegar and lime juice. It offered an excellent complement to the crispy, foccocia encrusted halibut. The enoki mushrooms and sautéed spinach were a welcome addition to this dish. I would highly recommend this to any fish lover in your party. One of the specials was a Long Island Duck prepared with Brussel sprouts, lentils and caramelized kumquats. The lentils were perfectly cooked and flavorful, the Brussel sprouts added a nice crispy element and the caramelized kumquats brought a pungent element to the dish. The duck portion included both a breast and a thigh, the duck’s skin was perfectly crisped and the meat was cooked to a medium doneness, and I would suggest asking for medium-rare if desired. The elements delicious individually, but I did not feel the blended together in a complementary fashion as the other dishes. Cava’s pizza choices include Margarita, Broccoli Rabe & Sausage, Pollo and Fungi, and Prosciutto with Arugula. All of the pizzas were prepared by Chef Nube’s cousin, Sonia Lopez. The Margarita Pizza was a traditional thin crusted version that included several slices of delicious mozzarella, a few slices of tomato baked with a small amount of a pomodoro sauce and finished with shredded basil. The crust had a nice bite and Chef Lopez added a touch of caramelized garlic, which I thought added a slightly different level of spice. The Broccoli Rabe and Sausage was a white pizza with a touch of mozzarella. 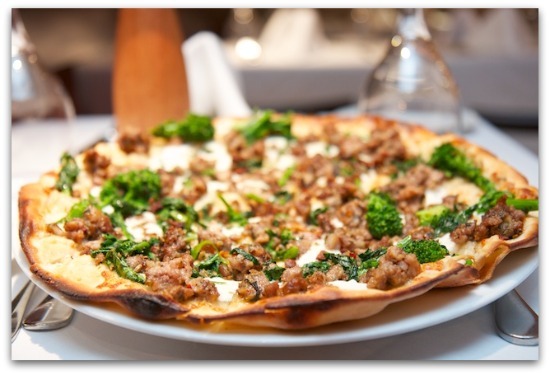 The delicious crust complemented the flavors of Chef Nube’s housemade sausage and combined with the creaminess of the cheese and the flavors of the broccoli rabe made this a great choice. The Pollo and Fungi pizza was another three-cheese white pizza and included oven roasted organic chicken, sautéed wild mushrooms and caramelized onions. The robustness of the garlic, the earthy flavors of the wild mushrooms and the suppleness of the chicken presented a very nice differential of flavors and textures. In addition to my enjoying the flavors in the various courses at Cava Wine Bar, I enjoyed listening to Chef Nube describe the thought process and love in each of the dishes as they came out of her kitchen. After six years in New Canaan, Cava Wine Bar with Chef Nube Rivera firmly at the helm in the kitchen is serving quality food and takes a top position in the New Canaan restaurant scene. Salads are all priced less than $10, pizzas are $12-15, the pastas are priced between $17-26 with half orders available, and the prices of the entrees range from $22 to $31. There is a nice buzz in the main dining room and the Bar in the back allows for additional seating both at the bar at some high tables. During the summer months you will also find the al fresco dining in high demand.